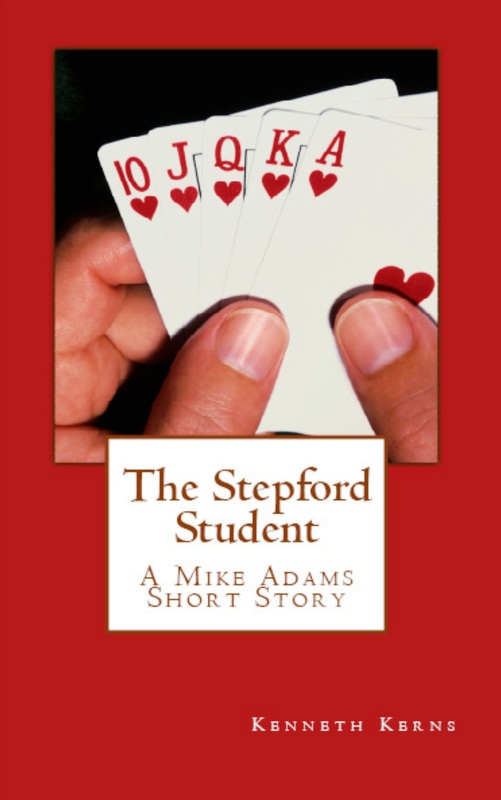 When his best friend, the son on a congressman, mysteriously abandons their weekly poker game, only to return reeking of swamp water and talking of changing his career plans, it’s up to Mike Adams to find out what really happened to him. Availability: For now, this is an electronic-only release. At some future date, I may package it into a collection of other short stories. Series note: This is an installment of the Mike Adams series, the first to be a short story (the three previous were novels), and the first to be told using a first-person narrator. Trivia: This is one of two short stories originally intended for the 2013 collection entitled THE YOUNG MIKE ADAMS. After deciding to tell the story as a first-person narrative, a style not used anywhere else in the collection, it made sense to let this be an independent release. The other story not included remains unfinished for now. © September 2013. All rights reserved.